*Barrier free facilities include parking lot, restrooms, and picnic tables. 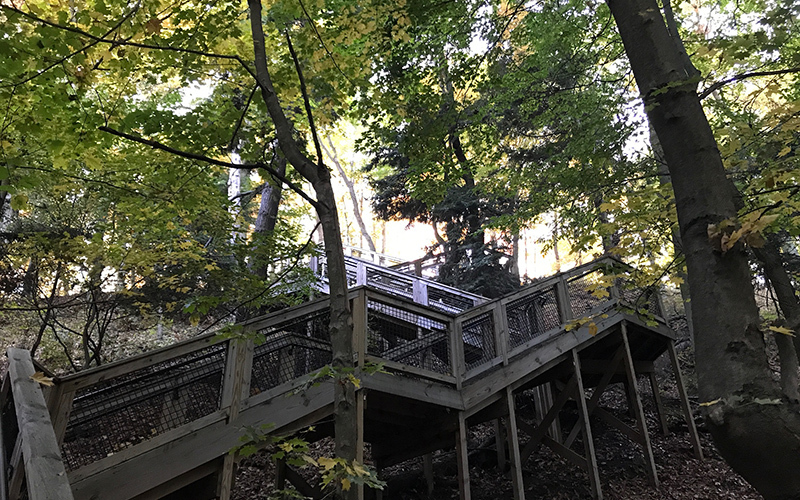 Some trails are wheelchair accessible and all stairs are designed to be ADA accessible. This map shows amenities, parking areas, features and trails. 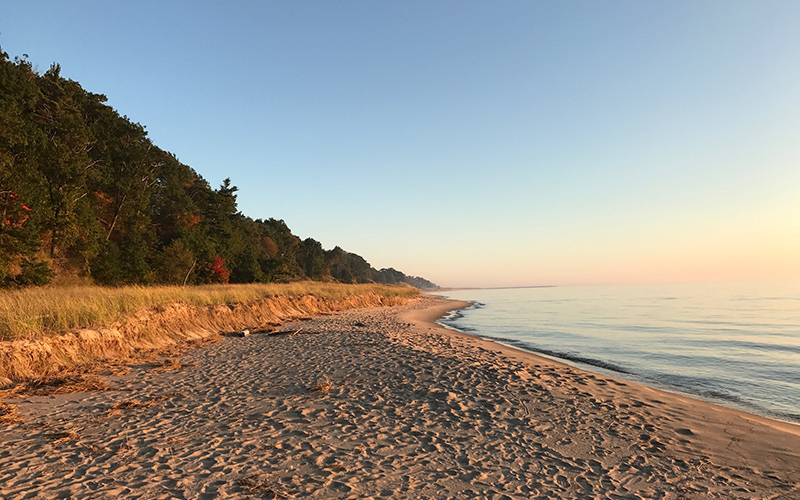 This mostly wooded 20-acre site includes a mature beech-maple-hemlock forest, a steep dune formation, and 738’ of Lake Michigan frontage. Improvements completed in 2012 include a paved parking area, modern restrooms, a barrier-free trail loop, and an extensive series of stairs and boardwalks traversing the dune and providing access to the sandy beach. Decks provide seating and views of Lake Michigan and host a display highlighting the property as the site of a scene from the Tom Hanks movie, "Road to Perdition." Motor vehicle parking fees are in effect from Memorial Day weekend through Labor Day. Please note that a Michigan “Recreation Passport” is not valid at County Parks. Olive Shores has a self-service fee station selling $7 daily permits regardless of residency. 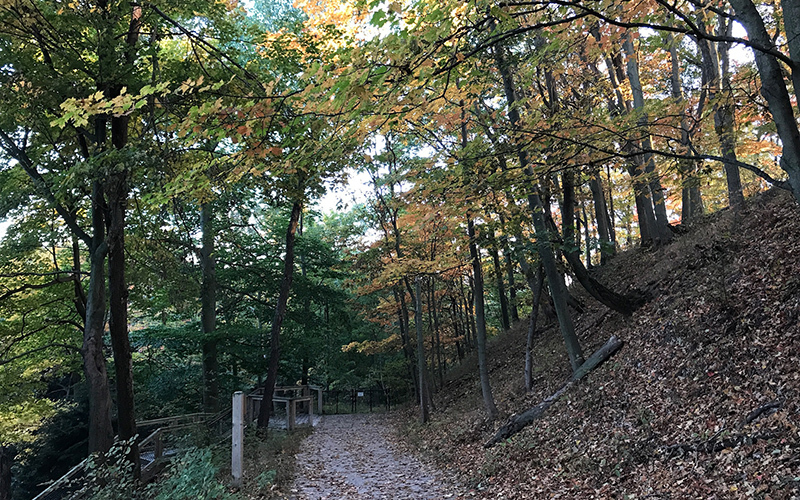 Annual permits are not available at the self-service fee station, but can be purchased at Kirk Park which is 1½ miles north on Lakeshore Drive. Annual permits are $15 for County residents and $25 for non-residents. Those failing to display a daily or annual motor vehicle parking permit risk being ticketed. More about motor vehicle parking fees and permits.